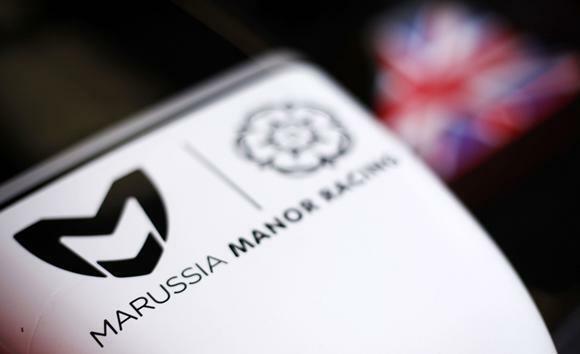 Administrators FRP Advisory LLP said in a statement that a Company Voluntary Arrangement had been agreed to allow control of Manor Grand Prix Racing, which traded as Marussia F1, to be passed back to directors. "The financial restructuring creates a platform for the company to continue with its plans to participate once again within Formula One," they added. 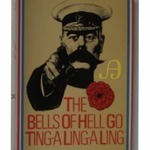 No details of the restructuring, or investors, were provided although former team boss John Booth and sporting director Graeme Lowdon are known to be involved. Media reports have indicated former Sainsbury's chief executive Justin King, whose son Jordan is competing in the GP2 feeder series this season, is also part of a consortium to revive the team's fortunes. Marussia, who were ninth in the 2014 championship, sunk into administration in October and missed the last three races of the campaign. They still have big hurdles to overcome, with a car to be built and the season starting in Australia on March 15. Rivals have also blocked a proposal for them to be allowed to use an interim 2014 car. They can however miss three races, which would allow them to start the season in Bahrain in mid-April. Administrator Geoff Rowley said the team had taken a step forward. "With new investment and a continuity of the respected management, the business has the ideal platform from which it can accelerate the operational rebuilding already underway to get a team back racing," he said. "We shall complete our statutory duties as administrators with the necessary filings needed in order to formally exit the company from administration over the next few days." We've all been trying to keep up with the ongoing saga of the embattled Manor Grand Prix Racing (formerly known as Marussia F1) and their efforts to get back on the grid for 2015.There is so much going on with them and their relationships with other teams, namely Ferrari and McLaren/Honda, that everything is probably still more speculation and educated guessing than anything else. Just yesterday, we did get word that Ferrari has absolutely, positively, without a doubt, guaranteed to supply their engines to the struggling Manor team. Although, Ferrari team principal Maurizio Arrivabene, has probably set a new record for stressing and repeating the word "Verbally" in his statements. If...IF...Manor GP is successful in their attempts to return to F1, Ferrari have agreed in principal to supply the team with 2014 engines. Although there are still a number of hurdles standing between Manor/Marussia and a comeback, Arrivabene confirmed in a press conference today that Ferrari has verbally agreed to power the team with last season’s power unit. Nobody, Manor included, know what car the team will run since a proposal to run their 2014 car was rejected by F1's Strategy Group (Thanks Force India!). The current speculation is the team will race as early as it can with its interim model, which is a 2014 chassis modified to meet the current 2015 spec, then try to field a fully bespoke 2015 car during the early part of the season. Though there are no still no guarantees Manor can return to the grid the agreement with Ferrari is another major step in the right direction for the outfit which has not raced since last year's Russian Grand Prix. Manor operated as Marussia F1 Team until last autumn, when the team basically went belly up and fell into administration. However, an enormous effort by the team’s former management has allowed the company to exit administration as it bids to reach the grid in 2015. It was speculated that McLaren could play a role in the resurrection of the team following it's exit from administration, thinking that Manor might nominate Woking as the venue for its wind tunnel program, while McLaren was reportedly “trying to convince Honda” to supply the team with engines. McLaren and Ferrari both wrote off tremendous sums when Marussia folded. One would assume that McLaren (and Ferrari, for that matter) would have done more in the strategy meetings to get them back in the game. One would also assume that McLaren could have done a better job of parlaying their technical partnership into being an engine supplier as well. Essentially allowing McLaren to field a 4 car squad. But Ferrari appears to have outworked them, thereby securing their opportunity to earn their money back. Ferrari, who were Marussia's engine suppliers, is owed $25.4M, while McLaren is owed $10.9M for their technical services, wind tunnel and simulator partnership with the team. It would have been in McLaren's and Ferrari's best interests for Manor F1 to field a car in 2015, because they could have had their debts repaid. If the Manor team managed to make it into the Top 10 again in 2015, they would be elibible for their share of the prize fund, which is SUBSTANTIAL, almost $800M in 2013, the last confirmed number. Alright, time to get serious. How do we get a slice of that pie? Ferrari, owed millions by the struggling backmarker, has agreed to keep supplying its 2014-spec turbo V6 engine to the team reborn as ‘Manor’ for 2015. McLaren, a separate technology partner, is also owed millions by Manor. But the struggling team has come out of administration in the past days according to a Company Voluntary Agreement, under which creditors agree to be repaid over a longer period of time. One of those creditors is McLaren, who like Ferrari will continue to support Manor. “We have agreed to restructure our contract with the Manor team so that it may continue to benefit from affordable support, in keeping with contractual obligations,” a McLaren spokesman told GMM. The spokesman, however, played down speculation McLaren’s grander plan may be to forge close ties in the Manor outfit, along the lines of Ferrari’s new ‘B-team’-like alliance with Haas. update: Formula 1’s governing body, the FIA, has joined McLaren and Ferrari in actively supporting the former Marussia team’s quest to return to the grid this season. The FIA is also playing a role in helping Manor as the team scrambles to prepare a 2015-compliant car. Normally, two weeks before official examination set to take place at the championship season opener, an official and binding entry list would have long been published. Reportedly, the FIA is delaying the finalization of the 2015 list to give Manor crucial extra time. By next Friday – the air freight deadline for Melbourne – not only does Manor need to complete its 2015 car and pass the crash tests, it also needs to convince the governing body that it has the financial means to return to the grid. “We are trying to help,” an FIA spokesman told an insider “but at the same time they need to demonstrate that the project is financially and legally sound. “Above all, they must prove that the new car corresponds to the 2015 regulations, which is not easy. “We are holding the entry list open for as long as we can, in order to give them at least the possibility to convince the FIA of their project,” he added. Mint ismert, e hónap elején a Formula-1-es Stratégiai Csoport ülésén a Force India megvétózta annak lehetőségét, hogy a korábban Marussia néven futó Manor istállóval kivételt tegyenek, és ők a tavalyi modelljükkel kezdhessék meg a 2015-ös szezont. A brit kiscsapat akkor egyből jelezte, nem adja fel a harcot, és ha törik, ha szakad, ők akkor is ott lesznek a 2015-ös rajtrácson, és már javában építik az idei szabályoknak megfelelő, egyelőre átmeneti versenyautójukat. Hogy az új modell pontosan mikorra készül el, az egyelőre kérdés, de az Autosport legfrissebb információi szerint az sem teljesen kizárt, hogy akár már a szezonnyitó Ausztrál Nagydíj rajtrácsára felsorakozhat majd a Manor két versenygépe. Az FIA mindenesetre biztosította támogatásáról a csapatot, és rendkívüli helyzetre való tekintettel a lehető legkésőbbi időpontig kitolja a végleges, hivatalos 2015-ös F1-es nevezői névsor lezárását és nyilvánosságra tételét. Decemberben egy előzetes nevezési listát már közzétettek, azon szerepelt a Manor istálló neve is, de mellette még egy csillag jelezte: nevezésük hivatalos szintre emelkedése további megerősítésre vár. A kiscsapat egyébként a nevezési díjat már befizette, azonban a többi istálló körében továbbra is komoly vita tárgyát képezi, hogy mennyire vehetők komolyan a Manor erőfeszítései, és rendelkeznek-e egyáltalán az ahhoz szükséges technikai és pénzügyi infrastruktúrával, hogy állandó, tartós jelleggel tudjanak az F1-ben versenyezni. A hírek szerint erről jövő héten újabb megbeszélést fog folytatni az FIA a csapatokkal, és ez után dönt majd arról, elfogadja-e és megerősíti-e a kiscsapat nevezését a 2015-ös F1-es világbajnokságra vagy sem. Marussia were named on a 10 team Formula One entry list on Friday, subject to conditions that included full compliance with the 2015 technical regulations. BARCELONA, Feb 27 (Reuters) - Marussia's climb back from the brink of Formula One extinction gained momentum on Friday when they were included on the official 2015 entry list, subject to conditions. There was no such salvation for tail-end rivals Caterham, founded by Malaysian entrepreneur Tony Fernandes, who have failed to find a buyer and whose cars and equipment will be auctioned off next month. Both British-based teams went into administration in October, overwhelmed by debt, but had appeared on the previous entry list issued in December. Marussia always had an advantage in the fight for survival, however, because they are in line for significant payments as a result of finishing ninth last year while Caterham scored no points and were 11th. 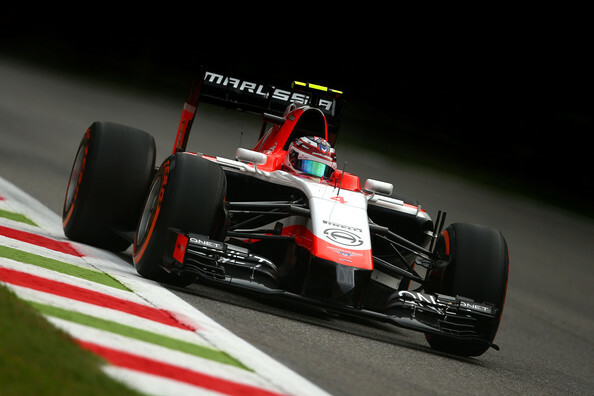 The governing International Automobile Federation (FIA) listed the team, owned by Manor Grand Prix, as Manor Marussia F1 and said their presence was subject to full compliance with the latest technical regulations. The season starts in Australia on March 15 and they will compete with Ferrari engines and a chassis listed as Marussia, despite the team no longer having any Russian involvement, to qualify for the commercial rights money due from last season. Britain's Will Stevens will be one of their drivers, providing he holds a super licence, with the other still to be decided. That may be more a question of the 23-year-old making the necessary payment rather than meeting performance criteria, given that he raced without incident in last year's Abu Dhabi season-ender for Caterham. Marussia's bigger hurdle will be meeting the technical regulations, with rival teams denying them the chance to compete initially with last year's car. They will have to pass a crash test before the cars and freight leave for Australia at the end of next week. The team said on Wednesday the car was in "an advanced stage of build" at their Dinnington factory and they were making "huge strides" towards Melbourne. Marussia have not raced since the Russian Grand Prix in Sochi last October, the team missing the last three races of the 2014 season. 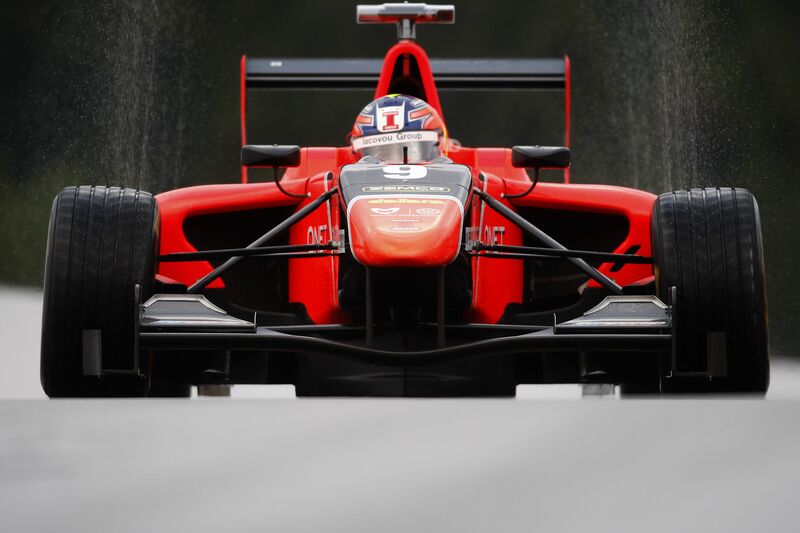 In a modified 2014 car, Marussia has passed the FIA's crash test, which is their last hurdle (aside from actually bringing a car and people to the race in Melbourne). Fantastic news. I can't wait to see them on the grid in Australia. They should rename the team Phoenix.